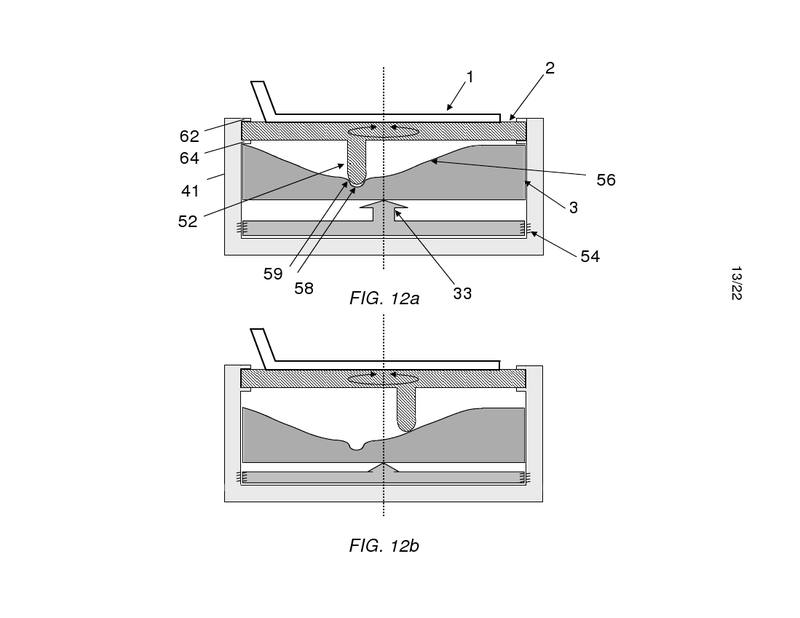 Ride In Harmony™ Founder, Cary Thompson , has been granted a patent with 19 claims by the US Patent and Trademark Office, for Telemark bindings used in free-heel skiing. 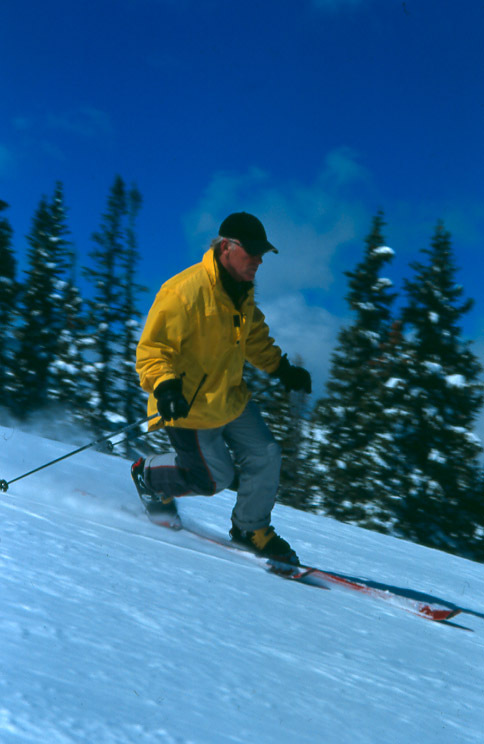 The Kam-Holdz™ Technology binding, operates like a shoulder or hip joint, in a version featuring a partial release of the ski to prevent a twisting injury. Then it pivots back into place, when you get up and lift your foot to resume skiing. 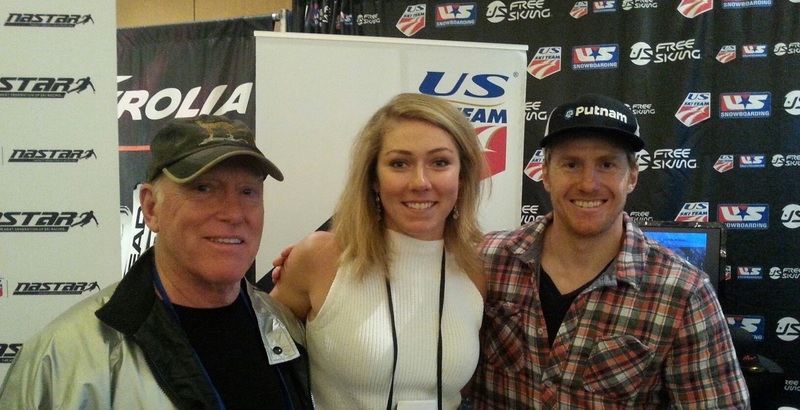 Cary says he expects alpine skiers, as well as free-heelers to welcome the security of a release system, and stay with it for the enhanced performance that the strategic placment in the center of the ski, brings to their skiing. 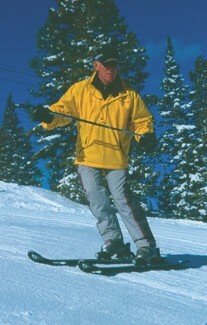 Experience the "Unbearable lightness of skiing", and patented "return to center force" of KAM-HOLDZ™ Technology. See the video. Thanks to Gulf Coast State College Advanced Technology Center. 14 year old Roxy Girl, Vanina Walsh blows it out of the water for us at Christmas. 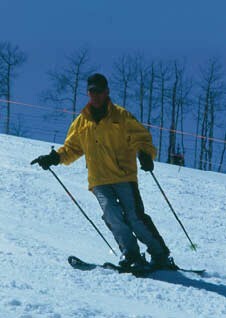 For our ski and snowboard lessons now online, visit www.skilesson.org. For travel ideas, club or ski and snowboard school training around the world, contact Ride In Harmony™ Athletics. (01) (970) 274-0365. Coming to the Aspen, Vail vacinity, guests will be able to spend A Day In The Sun, tuning up with an online ski or snowboard lesson, Ride The Snow In Harmony ® style. Enhance athletic performance. You can’t get lessons from Ride The Snow In Harmony TM in Aspen and you can’t get it in Vail. Break up the trip to acclimate. From the Eagle-Vail airport it’s normally just 25 minutes to Glenwood Springs on Highway 70, and 9 miles from there, outside Glenwood Springs to Sunlight. A natural stopover, . School to Pool- 9 mi. to town. Go from the ski lesson to a dip in the Glenwood Springs Pool and its world famous natural hot springs. ... Is the tag line of the Cheese Shop in Aspen, Colorado. In a two page article for the Four Seasons Magazine, the in-house magazine of the luxury hotel chain.Christina Oxenberg of royal European lineage, and Aspenite, talked about her life and favorites here. As you might have guessed, The Cheese Shop is a favorite restauant for speciality foods. Mine too. 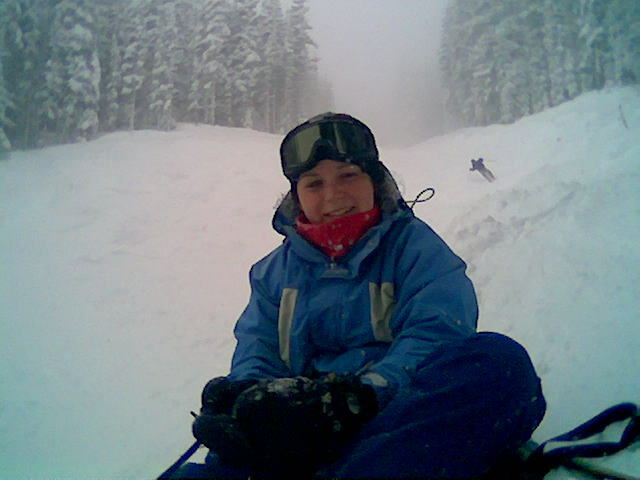 But she was kind enough to recognize the Ride In Harmony TM method, and yours truly, for excellence in ski instruction. "I think the best ski instructor in Aspen is Cary Thompson, and his personal method of instruction is Ride In Harmony," says Christina. In a magazine," that takes a truly international view of the trends and insiders’ views from around the globe," (the publishers note), we are eternally grateful. The ACL, or Anterior Cruciate Ligament, is a small ligament that is frequently injured in skiing, as in " I did my ACL". The health benefits of athletics outweigh the risks on a broad scale, but no wants injuries, and some things can be done to mitigate them. The first event in a common scenario that leads to an ACL rupture, is that the turnside SM hand drops back and in, in a chain of events that sends a shock wave from the tail of the ski through the Anterior Cruciate Ligament. A second factor, but for another time, is the vertical alignment of the athlete. The first three lessons of a Ride The Snow In Harmony ® playbook, teach the student to move the crucial hand and arm uphill and forward inside the arc of the turn. These are two. The examples above are from the "Pole Tilting", and "Pointing" lessons. The first picture shows a skier entering the bottom third of the turn, beginning a pole swing to unwind and begin a new turn, but the leading relationship of the turnsidesm hand is clear. Though ACL injuries are caused by multiple factors, the simplest answers are usually the best, and garner the greatest benefit. Play it safe. 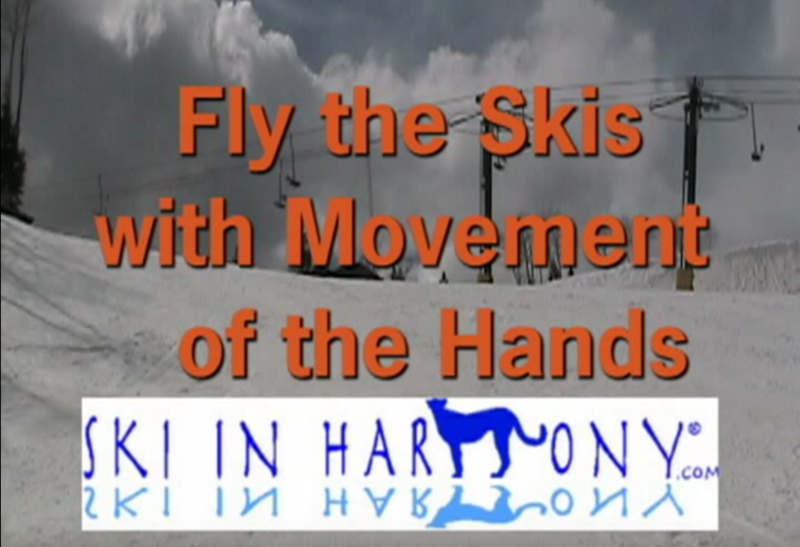 Build the foundation of your instruction upon the Fundamental Movement of Athleticssm, from RIDE IN HARMONY TM. Book a clinic for your ski and snowboard school. Liscenses may be available. Availability is limited. Our method often gives a client the best outcome. This is an expert run, on a powder day, at Aspen Highlands in Colorado. She had barely been an intermediate the day before. Results not typical. She and another hocky player were possibly the best students I've had. On the first run, first day, we skied to the bottom from midway, on a green, or beginner run, practicing with Ride In Harmony (TM), technique. On the second run we went to an easy, blue or intermediate bump run, where she experienced moguls for the first time. Again the same technique, and success. Then into another bump run that is alongside a groomed piste. Skiing along the edge, weaving in and out of the bumps, back onto the groomed, until the natural rythmn of the turns fit the bumps that were formed by them. Then a choice. Go groomed, go home, or go to the bumps. That's what we did, and Cecily pivoted a 360 in the bumps three times. A complete circle on a bump. Three times. Before lunch. First day. I'm not saying everyone should do this, but they can start by practicing the first four lessons, as long as one is also the Tail Of The Dolphin™. Then make decisions for themselves, when they feel comfortable. Photo from the ’07 file. Winter’s back. free-RIDE IN HARMONY TM News Letter posted 12/7/07, updated 1/30/08. 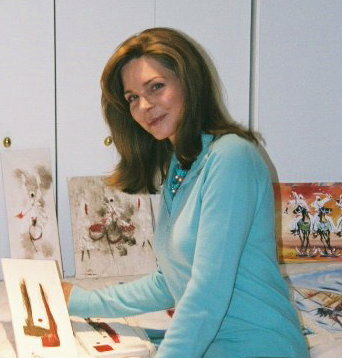 On a recent trip to Aspen ,Colorado, Queen Noor of Jordan took time to admire canvases from the Tonoussi brothers of Essaouira, Marocco. Surfing and windsurfing themes in print and paint by these artist-athletes are offered here.